They say that football is a very subjective game and everyone has their own opinion. But only yours matters here. Now you make all the decisions: with whom to conclude a contract, whom to transfer to another team, how to manage the budget. You can build tactics around your existing players, or, on the contrary, you can train and develop players according to your vision of the game. The teamwork will depend on who will play and who will remain in the reserve. Every decision you make has consequences. Make the right choice, and you will become a real star, you will watch from the front pages of newspapers and set trends in social networks. Your name will go down in football legends ... if you succeed, of course. 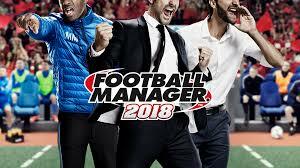 You will become part of the most realistic football world, you will have to make critical decisions both on and off the pitch - the moment has come to decide which manager you want to become? Try your luck in 50 major football countries. Win a title with one of the 2500 best clubs in the world. Work in the transfer market, choosing from 600,000 real players and representatives of the coaching staff. See how your vision of football is embodied in front of you.